The Borough of Manhattan (BMCC) Collaborative Improvement Model (CIM): Using collaboration, visionary thinking, and rigorous data to achieve our preferred future. The presentation will be an interactive exchange where participants review the BMCC Collaborative Improvement Model (CIM) through activities, demonstrations, discussion and paired interviews. The lessons learned from the multi-year implementation of the model will be presented and then experienced through shortened workshop activities. Participants will take away suggestions for documenting campus-wide organizational and departmental core values, use of data in assessment, and preferred future visions. Adapting to student needs in the science classroom: The Visionlearning Project. The focus of this presentation will be the specific literacy features that have been developed and how they work, including the technology used to implement them and the theory behind why we chose to do what we did. There will also be a brief discussion of the features planned for in the coming grant year, including supplementary learning materials. In a panel discussion, we will address a project that originated from Ethics Education 2.0, a joint NSF grant between The University of Texas-Pan American (UTPA) and Michigan Technological University (MTU). The NSF grant emphasized the significant need in ethics education for students to understand intellectual property rights. Plagiarism is often confused with copyright infringement, and the function of patents is vaguely understood at best. This workshop provides students with a unique opportunity to develop practical skills and knowledge that will contribute to their academic success in the rest of their classes. This Early Alert System is a proactive approach that enables us to identify students who are at risk and begin intervention with students as soon as a problem is identified. It allows us to track all contacts and intervention efforts, and share information appropriately with the student and others working on the case throughout the college. The outcome is to improve student retention in an effort to see them through graduation completion. El trabajo y el aprendizaje colaborativo de los profesores permitió la consistencia en el formato, alcance, metodología, presentaciones y nivel educacional de los objetos. (Una de las críticas que se le hace a los objetos de aprendizaje de las instituciones es la falta de consistencia en lo antes mencionado). Otros beneficios del trabajo colaborativo fue el intercambio de ideas e información, evaluación colectiva de herramientas WEB 2.0 y el análisis crítico del proceso. It Takes a Village to Select a Learning Management System or How You Can Benefit from a Collaborative Statewide LMS Selection Process. The project discussed in this presentation is the selection of a new Learning Management System (LMS) at Eastern Washington University (EWU). The Office of Information Technology at EWU spent 15 months evaluating and involving faculty and students in looking at the university’s next LMS choice. In September 2011 Eastern joined a statewide LMS RFP process, led by the State Board for Community and Technical Colleges and including representation from each of the six four-year universities. The design, execution, scoring and usability testing aspects of this RFP involved well over 800 faculty members and staff across the state. The result of this collaborative process is that all 34 community colleges and 4 of the six four-year universities have moved to a common LMS in less than two years following this LMS partnership effort. The benefit to students is consistency in learning platform as they move within educational institutions within the state and a very collaborative learning platform. Dr. David E. Dean, Director of Instructional Technology, Design, Development and Decision Support Services, Eastern Washington University. In September 2013 UMET received the visiting team from MSA after submitting the Monitoring Report. This team reported: “As noted above, the institution has made a significant investment in the design, development and implementation of an assessment management system. Of particular note is the creation of the ARM which captures both qualitative and quantitative data from faculty that document student performance. This system has the potential for student input.” At UMET we do a very detailed and comprehensive Assessment of Student Learning process. It allows us to identify the actions that need to be taken to strengthen the students learning in a timely manner. BMCC is Graduating & Retaining students through Effective Advisement & Technology (GREAT)! In this proposed session, the presenters will show how Borough of Manhattan Community College (BMCC) of the City University of New York (CUNY) has incorporated an online degree audit system and an entries management system to improve the retention of its liberal arts majors. BMCC is a Hispanic-serving institution enrolling over 24,500 students, of which approximately 40% is Hispanic and has the largest undergraduate population in the CUNY system. The retention of liberal arts major was significantly lower than their peers in many other majors. Through a Title V grant, BMCC created a developmental advisement model for a pilot group of 2,000 liberal arts students and employed an online academic advising and degree audit system to expedite the process. Dr. Erwin Wong, Academic Affairs/Dean for Academic Programs & Instruction, Borough of Manhattan Community College (CUNY). Carei Thomas, Interim Director of the Academic Advisement and Transfer Center, Borough of Manhattan Community College (CUNY). Cost Effective Academic Analytics with MS Excel: retention and graduation patterns for 37 semester cohorts of student data. Existing technological infrastructure, personal computers and MS Excel, can be used to accomplish low cost analytics of warehoused data for institutional research. Tools for informed interventions are based on historical patterns of student populations. The effectiveness of institutional efforts to increase retention and graduation rates can be assessed referencing change from historical patterns. The project promotes decision making with metrics based on previous performance to assess if actions maintain or change institutional historical patterns. When developing hybrid classes it’s important to pay close attention to the ways in which online work connects with and supports the face-to-face interactions and vice-versa. This presentation will focus on some of the specific ways in which a “flipped” class approach to hybrid education can reverse the student and faculty roles often seen in the traditional learning environment. Flipping involves pre-recording and moving some of the lectures and relevant content out of the traditional classroom and making them available online. Students are able to watch lectures and relevant prerecorded content and annotate them by note-taking at home and teachers are happy to free up what they now see as even more precious classroom time by recording and sharing videos of their lectures. “Course Assessment: Soup to Nuts” is a step-by-step presentation/workshop that examines and describes the process of course assessment, from creating measurable learning outcomes based on Bloom’s Taxonomy to “closing the loop.” I am currently hosting workshops at BCC on this topic. Dr. Richard LaManna, Academic Affairs/ Academic Assessment Manager, Bronx Community College; Co-chair of the City University of New York (CUNY) Assessment Council and; Chair of HETS Assessment Task Force. Esta presentación informará sobre lo que implica diseñar un curso en línea, de manera integrada al secuencial curricular y el prontuario. Se presentarán los roles necesarios dentro de un departamento de diseño instruccional y procesos a seguir en cada una de las áreas especializadas que colaboran en el montaje de los cursos en la plataforma de educación a distancia. Neurociencia en la Universidad Central de Bayamón: Proyecto Piloto para el Fortalecimiento de las Concentraciones STEM. Este proyecto piloto es el primer bachillerato en ciencias con concentración en neurociencia en Puerto Rico. Contará con la renovación de facilidades, compra de equipos y tecnología educativa de vanguardia, creación de una base de datos STEM y uso de herramientas de educación suplementaria. La neurociencia es un área de crecimiento den Puerto Rico. Esto nos presenta una oportunidad excelente para desarrollar un programa innovador y de gran demanda. A Hispanic-serving University’s Innovative Approach to Developing Quality Online Graduate-Level Accelerated Programs. The Center for Online Learning, Teaching & Technology at UTPA has developed an innovative approach to developing accelerated graduate-level programs. By incorporating a program-wide blueprinting process, faculty are able to develop an online program, which provides for cohesive program-wide alignment of goals and objectives. The process promotes cost effective course development by leveraging common course practices, templates and technology. To date, UTPA has developed five online master degree accelerated programs, which promote the incorporation of Quality Matters standards. This study includes a graduate course design that integrates the disciplines of Electronic Commerce, Entrepreneurship and Information Technology with other business fields. This course evolves from the need to improve the economy in some regions of the World taking advantage of new computer information systems, telecommunication, the Internet and the World Wide Web. Minnesota West Community and Technical College is a network of five campuses and four centers. One of our campus communities is populated by newly arrived, immigrant Hispanic residents. As we studied our advertising, advising, registration, and enrollment procedures, we realized that our outdated practices disproportionately and adversely affected our Hispanic constituents. In 2011, Minnesota West undertook a massive change in the way we provide students services. One Stop Student Services fits very well with both our mission and our desire to better serve our Hispanic constituents. By implementing One Stop, we have removed enrollment and advising paper-trails and bottlenecks. A Blended Platform for Developmental Reading, a Best Practice Example! The presentation will highlight how to organize a blended developmental reading course, how to create exciting content related to current themes, and how the blended part of the course works in the real world. The presenter will share quantitative and qualitative data from her dissertation which focused on examining the success and persistence rates related to the blended portion of the class as well as students’ perceptions of how the blended portion works for them and contributes to their success in college. Social Work Distance Education Program: Challenges and Solutions. In 2009, an agreement was established between the University of Texas-Pan American (UTPA) and Laredo Community College (LCC), and between UTPA and University of Texas- Brownsville (UTB), which allowed UTPA to offer a Master of Science in Social Work (MSSW) and a Bachelor of Social Work (BSW) degree in Laredo and Brownsville, Texas. Courses have been provided in three different formats, including traditional face-to-face, teleconference, and online. Since its inception, fourteen students have graduated with an MSSW, and four students are expected to graduate in December with a BSW. Currently, there are 27 students in the MSSW program, and there are 28 students in the BSW program. When students are provided the support of a comprehensive structural program, ASAP that works in tandem with an innovative technique, WebAssign-altering pedagogy, impressive results are achieved. Results show that when ASAP is coupled with the WebAssign-Altering Pedagogy technique the class achieved a 90.5 % passing rate as compared to the institutional pass rate of 43.4%. ASAP is a comprehensive structured program that is designed to improve retention and graduation rates (average three-year graduation rate of 56% versus 23%) through a range of holistic support services and a commitment to remediate students within the first year of study. WebAssign is an online homework and testing management system. Student Academic Success Programs at John Jay College of Criminal Justice works in collaborative partnership with key university offices and the Department of Latin American and Latina/o Studies to offer first year seminar courses that directly address the success of Hispanic students. These collaborations include instructional support, faculty development, peer mentoring, and shared co-curricular programming. Through these collaborations, campus-wide networks of support are created to help entering students form campus connections and achieve academic and personal success. Dr. Jodie Roure, Professor, National and International Scholar, Juris Doctor, Researcher, Expert Witness and Government Consultant. The Co-Curricular Transcript (CCT), at Borough of Manhattan Community College (BMCC), has provided a way to promote and assist students in officially documenting civic engagement, leadership opportunities and learning experiences outside of the classroom. This session will review the grass roots approach used by the Division of Student Affairs at BMCC to get campus-wide buy-in for the CCT. In addition, the presenters will showcase the various marketing strategies employed by the different constituents in the college to increase program participation. Estudiando la plataforma de código abierto Moodle: Investigación en Acción. Este es un estudio evaluativo acerca del uso de la plataforma interactiva de código abierto Moodle en la modalidad de cursos asistidos por las tecnologías de la información y las comunicaciones en educación superior. El modelo de investigación fue uno de carácter mixto mediado por técnicas de investigación cuantitativas y cualitativas. El estudio es uno exploratorio cuyo propósito es el de pre sentar estrategias de avalúo para modalidades del e-learning. The Fort Hays State University (FHSU) Virtual College provides place-bound adult learners affordable access to over 30 degree programs and multiple certificate opportunities. FHSU has been creating strategic partnerships with institutions in various countries where the primary method of instruction is through instructors hired to teach in a face-to-face environment at the partner institution. We refer to this as our “cross border” model of partnership. In the Fall of 2013, FHSU has begun to take initial steps onto the world distance education stage by signing partnership agreements with foreign institutions and corporations interested in providing low cost, high quality access to an accredited US institution’s distance education degree and certificate offerings. Campus Wide Collaboration On the Retention of distance education students. Best Practice. The retention of distance education students has been a priority for UTPA faculty and university administration. As a result, the focus has been to ensure that distance education students receive the same support and access to resources as the face to face students receive. Proper delivery of instruction, access to library resources and assistance to navigate and locate research materials, and access to effective instructional technologies and proper support to leverage these technologies make a powerful combination to facilitate successful retention among the primarily Hispanic population at UTPA. The purpose of this panel is to explore the collaboration on multiple levels between UTPA library staff, Center for Online Learning and Technology (COLTT) staff, and UTPA faculty as they work together to enhance the distance learning experience for students. Differences that Matter: Instructional Design for Diverse Learners in the Online Learning Environment. This session will focus on the strategies for designing instructional activities that support the learning cycle of diverse learners in the online learning environment. Based on a conceptual framework for online student learning, presenter will illustrate how technology and media related to contextual topics can be utilized for online teambuilding, communication, and collaboration among diverse students. When it comes to the utilization of technology, we employ three basic platforms to conduct the project: Technology-equipped classrooms (internet, projector, speakers), Blackboard (digital archive), and “emergent technologies” (student’s own cell-phone cameras + audio recorders; digital cameras with USB capabilities). The first two platforms are provided through our home institutions (CUNY) and are absolutely intrinsic in the cultivation of a forward-thinking, dynamic classroom environment. The problem remains access to systems like Blackboard for our population of working students, particularly students whom are reliant upon institutional technological resources (i.e. Computers) for course work and materials. The key is then bringing institutional resources together with the technological capital already in possession of our students, and increasingly this means utilizing mobile devices, tablets, and digital cameras (what we term “emergent technology”). Puerto Rico, Mayaguez, in the spring of 2012, enabled my Education students to form a cross-cultural virtual community for sharing perspectives on global, historical & contemporary events. contemporary events on ePortfolio, the students created a virtual community and came to understand the importance of using technology to access multiple global perspectives, primarily the perspectives of commonly marginalized and/or oppressed populations. With a small grant and in collaboration with IBM in spring 2011, QCC developed an Early Alert system. Originally targeted only at Science, Technology, and Engineering majors (STEM) with a focus on Hispanic students, the system was upgraded in fall 2012 to a college-wide Student Support Network (SSN), an electronic database and web-based reporting system interface that generates a series of reports. This system increased the collaboration and interaction between student affairs and academic affairs. Over 20,000 alerts in answer to attendance issues, performance issues, and risk of failure were processed through the SSN system in the AY 2012-13, with thirty-seven percent of faculty participating. MOOCs attack traditional institutional structures. To break down the barriers, multiple factors must be considered. This experience provided data to help understand the MOOC phenomenon. Innovation is process that includes various factors. This presentation helps to understand MOOCs, and explains the research process. 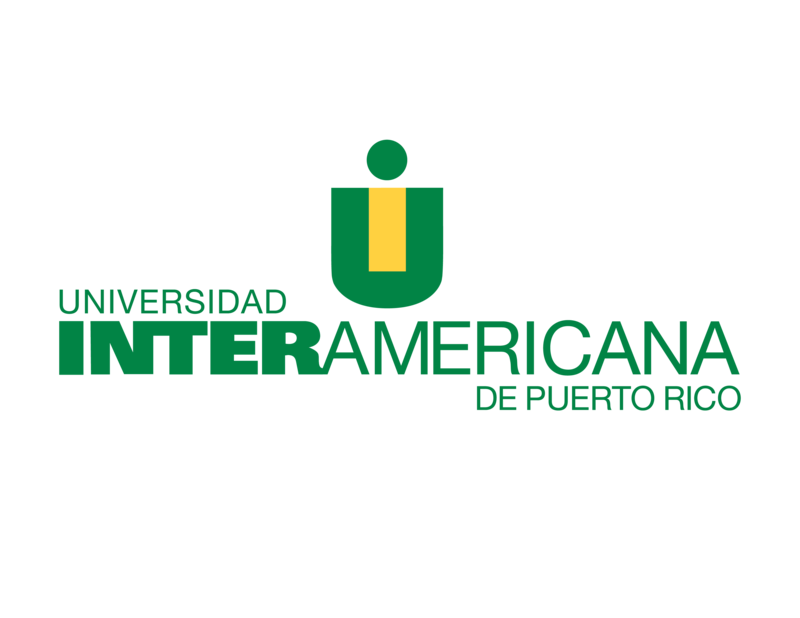 Dr. Juan Meléndez-Alicea, Professor, College of Education, University of Puerto Rico; Assessment, Ana G. Méndez Virtual Campus and; Member of the Board of Directors of the Puerto Rico Society of Evaluators. Despite today’s tough job market, nursing shortage is present and combined with the aging population, there is a significant need for qualified nurses across the U.S. Nurses have exceptional job growth and prolific career opportunities. The need for flexible, innovative and convenient College education is the foundation for imparting knowledge to the adult learners in the workforce. This unique mode l will meet the demands of the healthcare system and bring a genuine sense of accomplishment to the working individuals. An examination of personality traits in students’ perceptions of online and hybrid courses at a predominantly Hispanic-serving university. This presentation will show how a Hispanic-serving university developed both online and hybrid online courses using the Quality Matters rubric, which had a 100% retention rate. The presenters will share lessons learned and tips for implementing similar practices at other universities. The presenters will also share the findings of the Big Five and OCI survey instruments. Two cohorts and over 60 faculty members have participated in the iPad Pilot Initiative since it was launched in Fall 2012. This faculty-driven initiative was designed to encourage faculty members to work in teams and engage in group discussions. The Minnesota Dream Act provides undocumented students who have successfully completed high school and who wish to pursue higher education with access to the same in-state tuition and financial aid that all other Minnesota high school students have. The Minnesota Dream Act is about increasing awareness to Hispanic students who previously thought higher education was not a possibility for them. At EWU our IT group has tried different methods to enhance instructor computer attitudes, self-efficacy and experience related to the incorporation of instructional technologies into instruction. At this session we will describe several faculty development approaches we have used? Focusing on our annual summer boot camp.